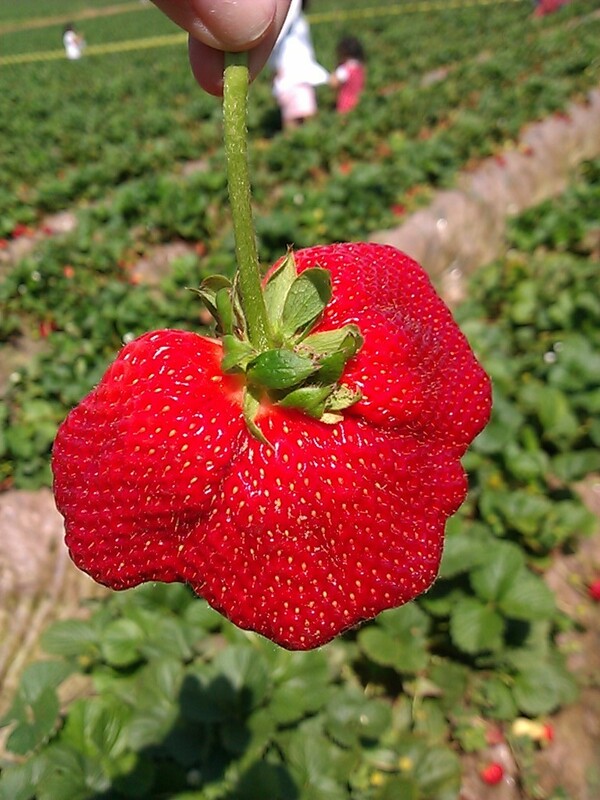 If you are tired of being seen as unoriginal, then this Camarosa Strawberry is the fruit for you! Visited the Carlsbad Strawberry fields for some good old fashioned berry pickin’. Found this crazy little cutie in the midst of all the other standard berries and just had to share. Located at the corner of Cannon Road and Paseo del Norte, just east of Interstate 5 at the Cannon Road exit in Carlsbad. Juicy and perfectly dense. Just the right amount of give. Sweet with a touch of tart. The standard strawberry flavor.